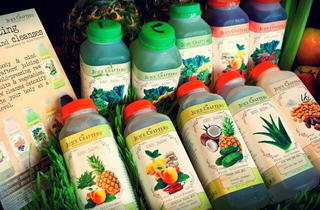 Juice Crafters is a gourmet juice bar that uses raw and natural ingredients to create both cold-pressed juices and “powerhouse smoothies.” Juice Crafters offers a wide variety of healthy options from simple shots of wheatgrass and ginger to more complex, “meal replacement” drinks made of exotic ingredients like raw cacao nibs and Amazonian Acai. 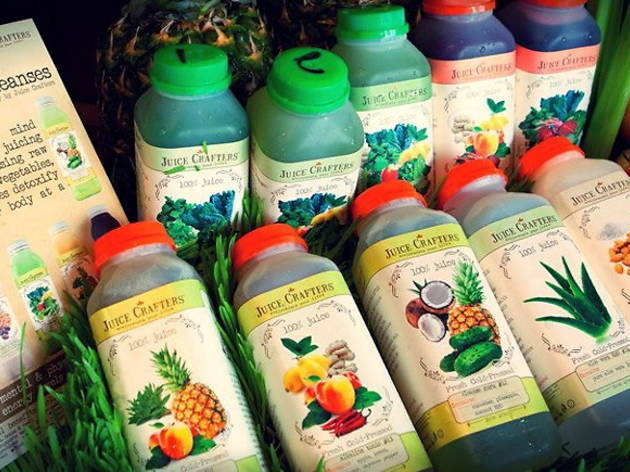 Using an 80-year-old juicing method that minimally exposes the ingredients to heat and air, Juice Crafters prides itself on both the freshness of their products (their fruit and vegetables are handpicked by local farmers and delivered daily) and the wide variety of its menu. Top your juice off with a scoop of superfood; choose from chia seed, bee pollen, flax seed, royal jelly, etc. See also the Pacific Palisades location.